A new world record was set on Tuesday when “The Henry Graves Supercomplication” was auctioned off at Sotheby’s in Genève. The pocket watch was made by the Swiss watchmaker Patek Philippe and sold for an amazing $24 million, which was well over the previous record of $11 million. What makes this pocket watch unique is the fact that it was made completely by hand without assistance from any technical apparatus. Besides telling the time, it has 24 other features such as sunrise & sunset times, the phases of the moon, the celestial skyline over Manhattan as well as a perpetual calendar that won't need to be reset until 2100. 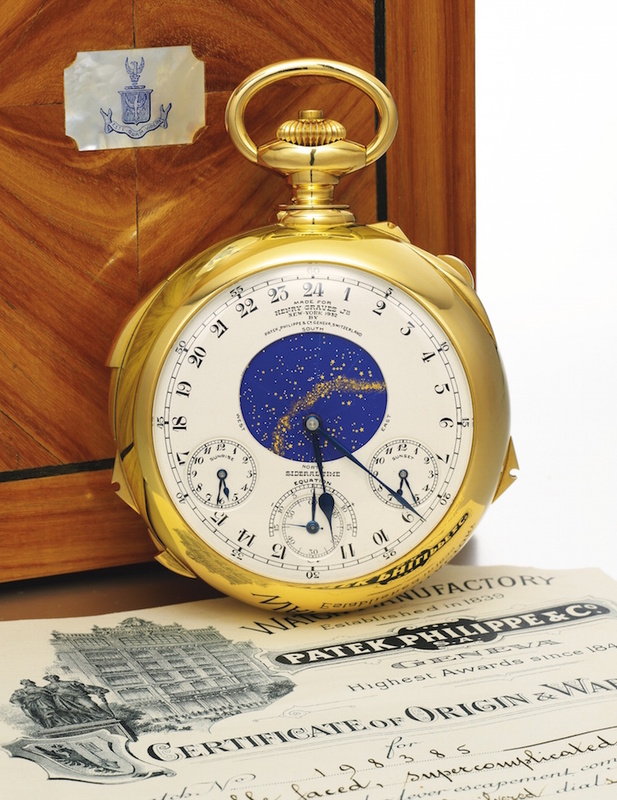 Patek Philippe's pocket watch had en estimate of $15 M but was auctioned off for $24 M, a world record according to Sotheby's which is well over the previous record of $11 M.
Barnebys has previously written about Patek Philippes magnificent watches. You can continue reading here, and you can find all of our watch & clock auctions here.